This 1 foot cable is the perfect solution for you to share all of your photos and videos with your colleagues, family and friends. 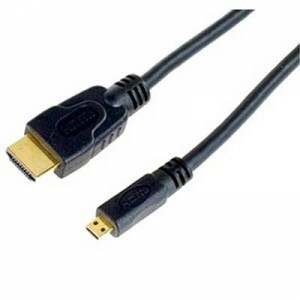 The Micro HDMI High Speed Male To HDMI Male Cable lets you instantly plug your Smartphone into any TV for instant broadcasting at family get-togethers, meetings, and even tailgate parties. This cable lets you watch videos, stream media, or view documents from your HTC phone on a TV. Composite outputs connects your phone to your TV or entertainment system. This is the easy streaming solution that you have been waiting for.